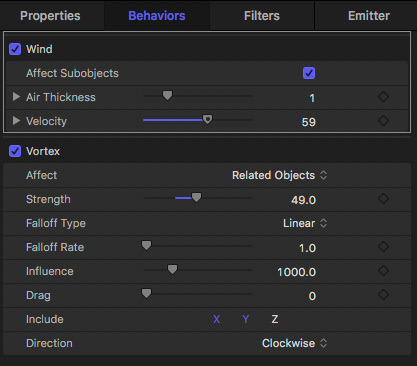 Motion simulations are an effect that hasn’t yet appeared in Final Cut Pro X, which means you may not know they exist. But, they can create fascinating effects and are endlessly fun to play with. 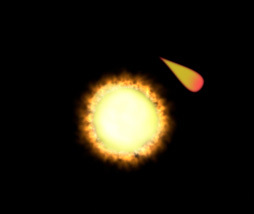 First, I created a Group – called “Star” – into which I dragged Particle Emitters > Pyro > Corona. NOTE: Or, if you want to keep this simple, draw a simple yellow circle. I just thought I’d be a bit more fancy here. Create a second Group and place it above the Star Group. 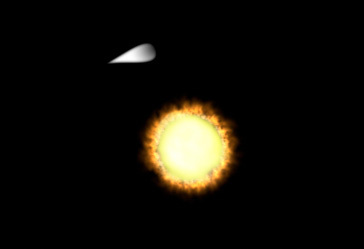 Create a meteor using Library > Content > Particle Images > Drop02. NOTE: In the screen shot above, I rotated the Drop, but, as you’ll see, this isn’t really necessary. Next, apply Filters > Color > Gradient Color to the Drop, then change the colors to make it look like the Drop is a burn meteor. 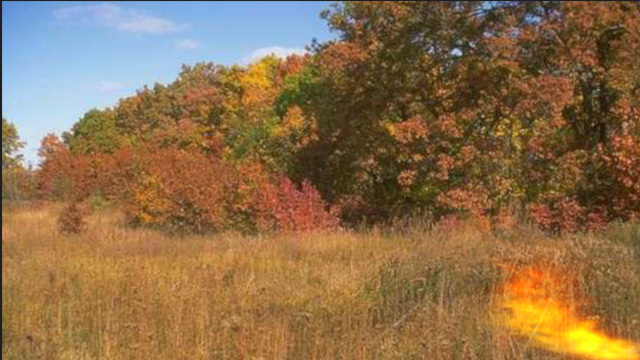 Gradient color allows us to use two colors, which is more interesting than a simple, single color. 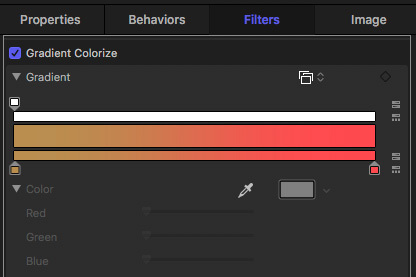 Adjust colors using the color chips on the bottom of this gradient color picker. Play the timeline and watch what happens. 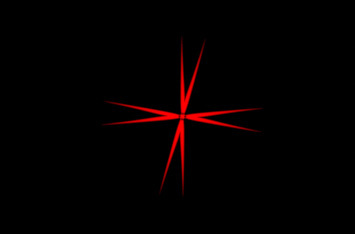 The meteor circles the star. 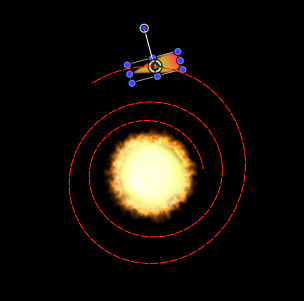 Now, increase the Drag setting in Orbit Around, this sets the meteor spiraling into the star. Finally, apply Behaviors > Simulations > Align to Motion (Simulation). This aligns the meteor to turn in the direction of its orbit. Play the project and have fun tweaking! NOTE: There are lots of things you can do to spice this up. 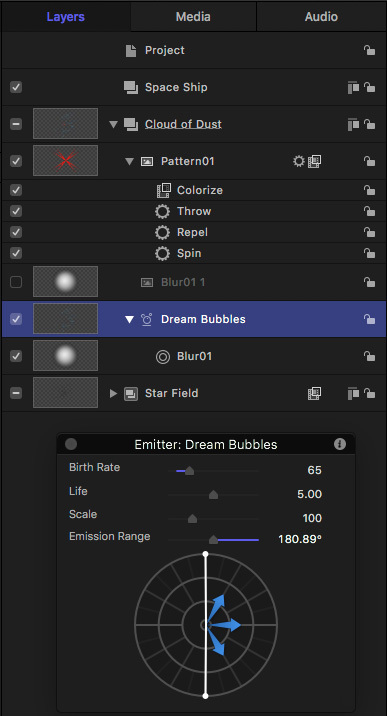 For example, add a blend mode to the meteor, a particle star field in the background or add other planets in the foreground. 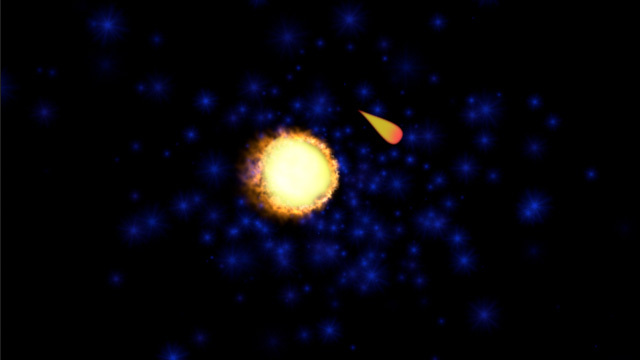 To make this really interesting, apply Behavior > Basic Motion > Throw to the Star Background group and watch how the meteor behaves as the star moves across the screen. Add Particle Emitters > Pyro > Camp Fire to the project. 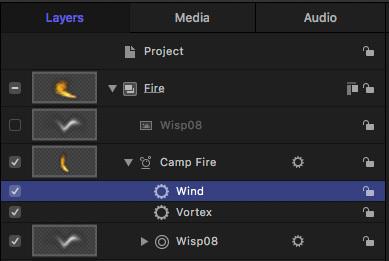 Apply Inspector > Properties > Blend Mode > Hard Light to the group that contains Camp Fire. The blend mode makes the fire translucent to allow us to see images behind it. NOTE: In this example, I stretched the group horizontally to expand the width of the flames. Here are the settings I used for these two Behaviors. NOTE: Feel free to adjust the settings during playback to make the flames dance the way you would like. Apply Filters > Colorize. 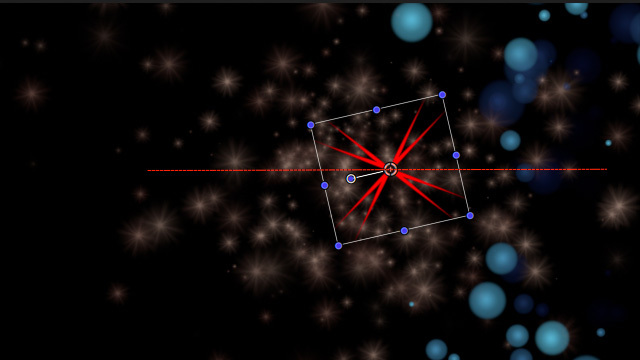 You can change or modify the color of the stars as you see fit. Temporarily, hide this layer by unchecking the checkbox to the left of the name of the group. 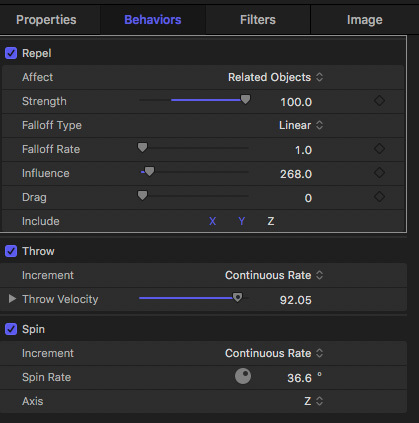 Optionally, apply Behaviors > Spin because, why not? Spinning Starships look cooler. NOTE: While you can put the Starship in its own folder, I’ve found that Repel works best when both the object doing the repelling and the particle system are in the same folder. And now, let’s create the magic. As you play the clip, the spinning Starship moves from left to right, and as it flies through the bubbles, they move out of the way, making it look like the Starship is flying through them. 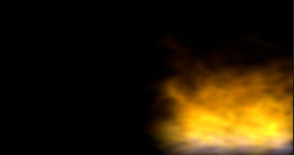 This effect can be modified in countless ways, using different objects, particles and backgrounds. The key, here, is that you are using Repel to make objects interact. Simulations don’t exist in Final Cut, which is why many people haven’t discovered them. But they are a fascinating way to make objects in Motion interact like objects do in real life. And they are great fun to play with.